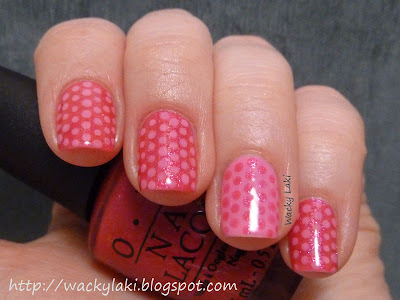 I just couldn't resist creating a polka dot manicure with polishes from the OPI Vintage Minnie Mouse collection. Minnie Mouse and polka dots just two things that always go together in my mind. For the base I started out with OPI I'm All Ears on all the fingers except the ring finger. The dots were added using OPI If You Moust You Moust. The ring finger has the colors reversed (If You Moust You Moust for the base and I'm All Ears for the dots). Was this stamped? If yes, what plate did you use? Pretty! Did you use a dotting tool for this? If yes that would have taken forever!!! Very pretty! Subtle but makes a statement. 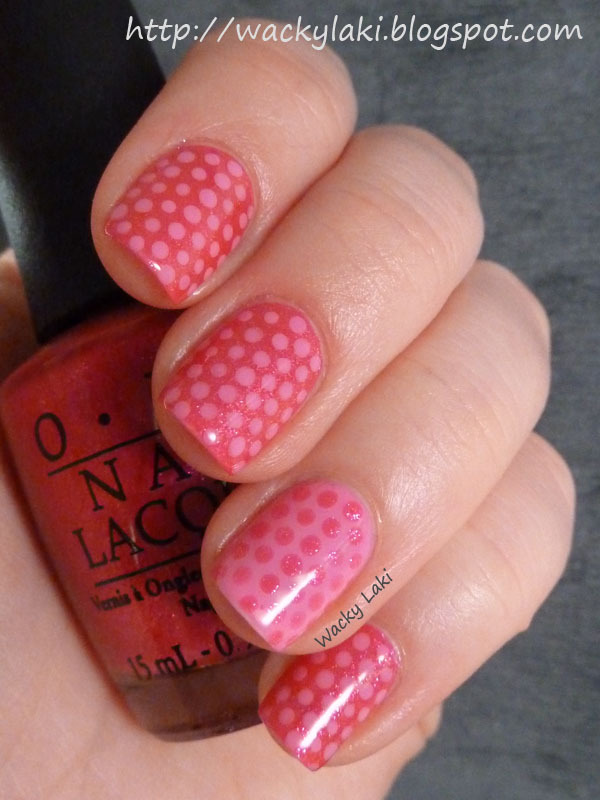 I love how you reversed the dotting colors. It's so cute! soooooo cute! *-* loved it! It's adorable and perfectly Minnie! Thank you so much! I'm glad you like it! omg you didn't stamp these? they look so great! i love these colors together! 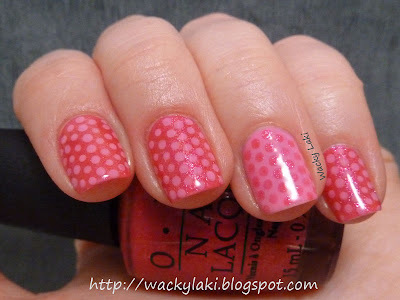 The negative and positive nail polish effect is very lovely, and the polka dots are adorable! The colors in this one are great... but I have to say that your precision in placing the dots and having them all the same size are awe-inspiring. Color Club POPtastic: Color that POPS! OPI Just Spotted The Lizard! Have you met Miss Jones? Copyright Wacky Laki 2011-2013. Awesome Inc. theme. Powered by Blogger.